When you need a second set of hands, cradle your baby in a bouncer that’s made to mimic your movements. Ingenuity's SmartBounce Automatic Bouncer offers 30 minutes of continuous automatic bouncing designed to move naturally – just like mom. The auto-bounce settings range from subtle to pronounced, so you can adjust the soothing motion depending on your little one’s preference. Keep your little one calm with melodies, nature sounds, and white noise entertained with an assortment of plush toys. The Hybridrive™ technology means batteries last up to twice as long as traditional bouncers. 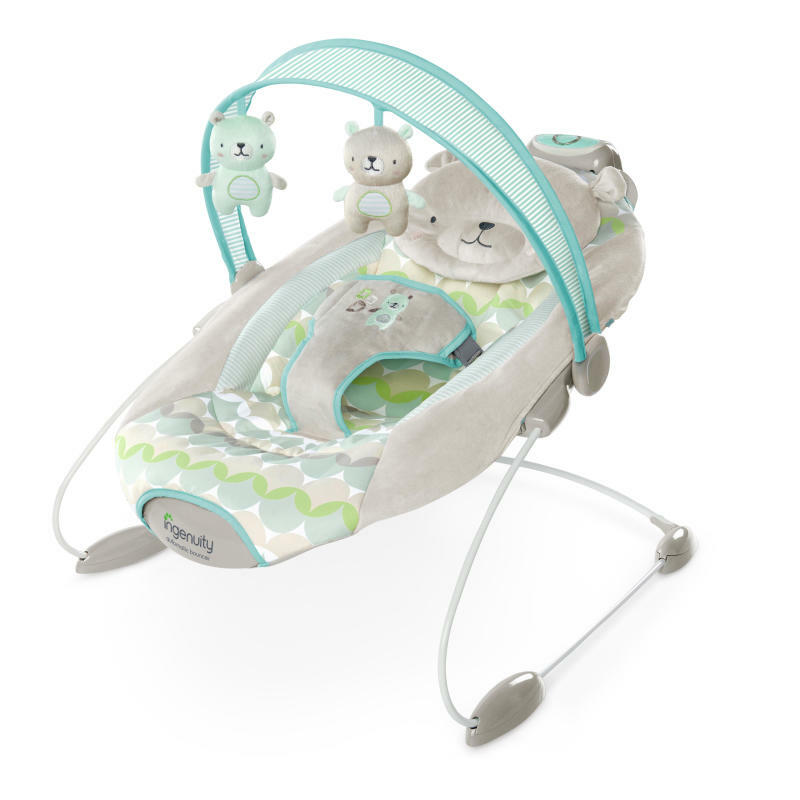 When you need more hands-free moments, this baby bouncer keeps your baby safe and soothed. Dimension (in) 23" x 19" x 17.5"